Whatever your equipment needs, we’ve got you covered! Shuttlewagon offers four main areas of Aftermarket Support: Mobile Services, Training, Shop Service, and Aftermarket Parts & Support. Shuttlewagon offers 24/7 support in the field for any brand of mobile railcar mover. Our technicians are trained to handle all of your mobile industrial equipment. We service and repair Shuttlewagon, Nordco Liftmaster, TrackMobile™, Rail King®, Royal Lift Truck, and other industrial heavy equipment. Each technician carries a rolling stock on their service trucks of over 250 parts. Shuttlewagon also offers direct support our OEM Engineering Staff. Preventative Maintenance: Increase your uptime and the life of the machine with time sensitive PM’s and a 50 point inspection at each service. Inspection: Technicians can provide detailed equipment inspections and full evaluations. Contact our Mobile Services team today! ShuttlewagonSupport@nordco.com or call us at (816) 767-0300. Shuttlewagon provides two days of on-site training with the purchase of new or used equipment. Operators will receive supervised, hands-on training in the operation and functionality of the Shuttlewagon, including how to hook up Rail Cars and utilization of the Train Air System. Shuttlewagon provides one day of on-site training for rental equipment. Operators will receive supervised, hands-on training in the operation and functionality of the Shuttlewagon, including how to hook up Rail Cars and utilization of the Train Air System. Yearly re-certification is available for new hires, and customers that are in need of refresher courses. Training is completed on-site by one of our Certified Trainers, with each class taking 4-5hrs to complete. We recommend no more than five associates per class. Multiple classes covering multiple shifts can be scheduled accordingly. Contact our Training Department today at ShuttlewagonSupport@nordco.com or call us at (816) 767-0300. 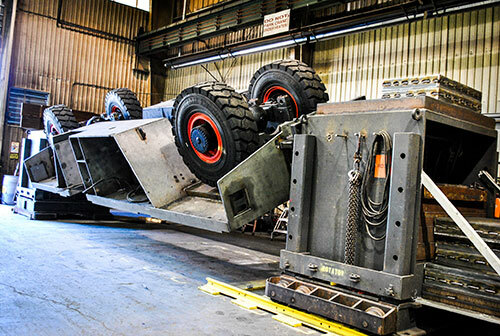 Your mobile railcar mover still has many years of service left, however, you may want to consider upgrading to the latest technology or have the engine rebuilt to further extend the machine’s life. Shop Service operates in three primary categories: Repair, Recondition and Remanufacture. Our repair process consists of a complete inspection followed by minor repairs made to the machine to keep it in operational condition. Our reconditioning process includes a complete inspection, followed by an appropriate level of reconditioning (repair, replacements, and updates) based on the machine’s age and condition. We are able to recondition all mobile railcar mover makes, including Shuttlewagon, Trackmobile™, Rail King®, Switchmaster, and most models. Our remanufactured machines are complete rebuilds. Our process includes disassembly down to the bare frame, followed by a frame-up rebuild which incorporates a new engine, new transmission, new or rebuilt axles, and a new or refurbished cab with all new wiring and gauges. In addition, certain models may be updated with our newest Can-Bus electronic controls. Please note that we currently only remanufacture Shuttlewagon mobile railcar movers. Should you choose to have work done on your unit, Shuttlewagon has a rental fleet and our Sales Team can set you up with a Rental machine appropriate to your needs while your machine is being worked on. 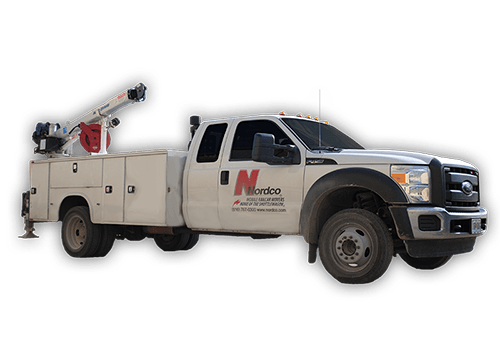 Contact our Shop Service Team today to get an estimate for your repair needs at ShuttlewagonSupport@nordco.com or (816) 767-0300. Shuttlewagon offers a variety of support in the Aftermarket for support services and all makes and models of railcar movers and mobile material handlers. With an 85% same day fill rate, we ship your parts same day and are always following trends to ensure we have the right inventory stocked at all times. Contact us today for parts, service or training at ShuttlewagonSupport@nordco.com or (816) 767-0300. Office support is available M-F 7am-4:30pm CST. For emergency after hour support, please call: (816) 767-0300.